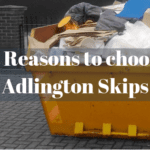 If you’re looking for an affordable, convenient alternative for waste disposal, look no further than Adlington Skip Hire! Skip hire is just one method for waste disposal that’s guaranteed to accommodate the exact needs of your domestic or commercial project. Here at Adlington Skip Hire, we provide a complete range of domestic skips to suit all tasks. Skip size is dependent on the volume of waste that you expect your project to generate. 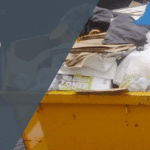 When choosing skip hire in Chorley or skip hire in Bolton, you need to be mindful of limitations and restrictions, otherwise, you could be on the receiving end of an expensive fine. Our domestic skips for skip hire Bolton are designed to suit any work that you’re carrying out on your property. The mini skips are recommended for customers who are improving their property, clearing their garden or refitting their bathroom. In terms of cost, mini skip hire is the most affordable method for waste disposal, but we don’t suggest hiring a mini skip if your project will produce immense volumes of waste. You’d be surprised how spacious that the mini skips are but if you’re looking for skip hire Chorley, that has a significant capacity, you cannot go wrong with a builder’s skip! Our skips are often desirable by commercial client’s who have vast waste disposal needs, however, they can also come in handy for any garden projects, providing enough space to store large, bulky materials like trees and garden furniture. Roll on-Roll off skips are ideal if you’re looking for skip hire in Leyland to store industrial waste. These skips are designed to lift on and off our reliable fleets with ease, providing you with a solution for quick and easy waste disposal. You’ll find these skips in an assortment of sizes, ranging from 20-cubic yards, right up to 40-cubic yards. As well as the roll on-roll off skips, we also supply the enclosed compactor bins for skip hire Leyland which allow you to dispose of waste as soon as it’s produced. Do’s and Don’ts to skip hire. Getting the most out of your skip hire in Wigan is simple. Skip hire regulations are to be followed if you’re to stay clear of any fines or penalties. Keeping prohibited items out of your skip will not only allow you to maximise the storage space you have inside your skip but will also make your skip hire Wigan more affordable. Some materials need to be kept separate from the general waste stored inside your skip. This applies for any plasterboard and gypsum materials because they require careful disposal. The team at Adlington Skip Hire make sure that all waste disposal requirements are met. When choosing skip hire Preston you need to think about where your skip can be stored and what you can dispose of inside it. Skips that are left on the road will require a skip hire permit.  To obtain a permit, we can make a visit to your local authority and acquire the necessary documentation to allow you to legally dispose of your waste. Another limitation to skip hire is accessibility. Make sure that there is sufficient room for our heavy fleets to manoeuvre. Although skips tend to be delivered to your garden or driveway, they can also be placed on the road outside your property- depending on which works best for you. Want to know how it works? Find out here. 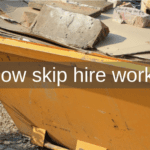 Skip hire in Preston is just one way that you can save money. Filling your skip with reusable materials like furniture may seem like the best thing to do, however, these tend to be large and bulky, essentially taking up too much space within your skip. Instead of throwing reusable items in your skip, why not donate them to charities? In doing so, you have the opportunity to reduce the size of your skip and save valuable space, allowing you to fit more in. The cost of our skip hire is dependent on the size of your skip, hence why it’s so important that you order the right one. A skip that’s too big will not be filled and you would’ve been better ordering a smaller one, where a skip that’s too small will leave you with excess material that cannot fit in your skip- meaning you’ll need to pay for it to be removed or order a new skip. 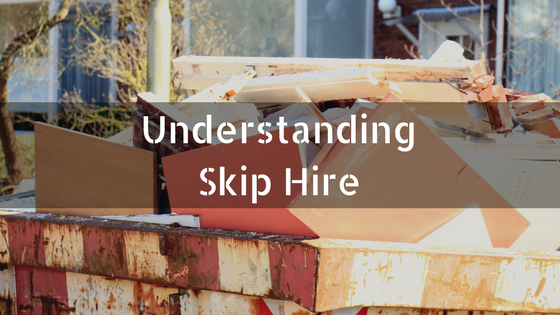 Hiring a skip can provide countless benefits if you choose wisely. To keep your skip hire costs to a minimum, don’t dispose of items that are prohibited, we recommend keeping these separate so that they can be disposed of effectively. Remember that you are not only responsible for the skip but for the contents found inside too. If your skip is left on the road overnight, you need to be aware of opportunistic fly-tippers and always check what’s inside your skip. If you need to know more about skip hire, don’t hesitate to get in touch with us at Adlington Skip Hire, we will be more than willing to offer our expertise. Simply call us on 01257 474 747 today!